How to do a Club Success Plan..
I’m talking about your educational awards, your progress in the Toastmasters Program. This idea is for members and club committees who do want to set themselves goals and do so in a fun way. I spotted this idea on the The Official Toastmasters International Members Group on Facebook. 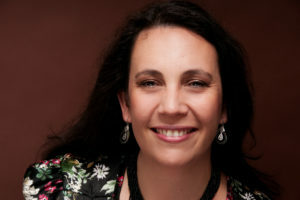 Many thanks to incoming VP Education Kathy Shine, DTM of Cream City Communicators, Milwaukee, Wisconsin, USA. Her club completed Moments of Truth two weeks ago. They have already implemented several suggestions from our members and have begun to develop plans for further action that will be included in their 2016-2017 Club Success Plan. 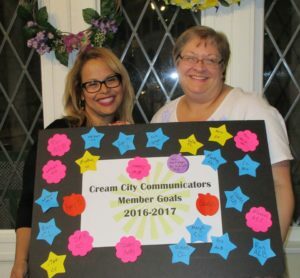 One suggestion was to find a way to display member goals and progress in a non-threatening and non-embarrassing way for all members, and to encourage others who are taking a slower pace as they focus on building self confidence. 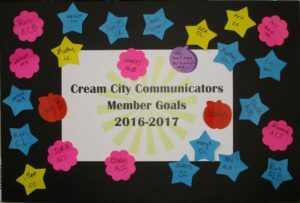 Their solution: they invited their members to sign their name and indicate their goal on a super-sticky post-it note, then placed them all on a large poster board marked simply as “2016-2017 GOALS.” They plan to have a second poster labelled “2016-2017 GOALS COMPLETED” and members can move their post-its from one board to the other in a simple recognition ceremony during a club meeting. What a great photo opportunity! It’s a Club Success Plan on a poster board! Why not try it in your club? If you do, send photos to dltdistrict91@gmail.com. Why did you join Toastmasters? Why have you stayed? We all have very different answers to those questions. Maybe a boss told you you really had to improve your presentations or you wouldn’t be able to advance your career. Maybe you had to make a best man’s speech and you didn’t want to let your friend down. Perhaps, like me, you wanted to meet new people with different experiences. I suspect that, no matter the range of answers to the first question, the answer to the second is pretty much the same for all of us. Toastmasters has changed our lives. We discovered capabilities in ourselves we didn’t know we possessed. We felt good about supporting a fellow member. We laughed, cried and developed long-lasting friendships with fellow members, and sometimes more, as I did. It’s a pretty great place to be, isn’t it! Wouldn’t you love to share that feeling with others? If you look around your club though, is there anyone you haven’t seen for a while? Perhaps a friend, maybe an acquaintance. Do you ever wonder how they are doing? Why not give them a call, just to say hi and let them know you’re thinking of them and ask them to come back to the club for a visit. I encourage you to invite a friend to your next club meeting. Share with them how Toastmasters has affected you. They’ll probably recognise the changes you’ve made but be unaware of the reasons why. Invite them to your club so they can experience the Toastmasters program. 72% of our clubs within District 91 have achieved Distinguished, with 12 of those being Presidents Distinguished. If a Toastmasters year is a marathon, it’s time for the sprint finish. Posted on 30th May 2016 by toastmasters in Distinguished Club Program, Updates & Posts | Comments Off on If a Toastmasters year is a marathon, it’s time for the sprint finish. With 30 days to go to the end of the Toastmasters year, we are one of only seven districts around the world who are distinguished. Third highest number of distinguished clubs, second highest number of clubs that have 20+ members. And overall, doing better than we did this last year. We have still a lot to do to get to President’s Distinguished District – 2 more clubs to either charter or get to good standing and 351 renewals or new members. Our analysis is that these goals are achievable – it will take a lot of focus to get there. Well done Toastmasters District 91 – we’re a Distinguished District now. Let’s enjoy today and redouble our efforts for the rest of the year. Last year we got one club more than the requirement for Presidents Distinguished and 85% of our clubs were distinguished. This year, let’s do even better and build momentum for next year too. Can you reach out to members who haven’t renewed and welcome them back? Is there more you can do to invite in new clubs and new members? Can your club do better than last year in the DCP programme? If your club is new, what can you do to maximise your chances of being distinguished, if not this year, then next year? Let’s grow and be strong.